SOMETIMES it’s nice to dream. 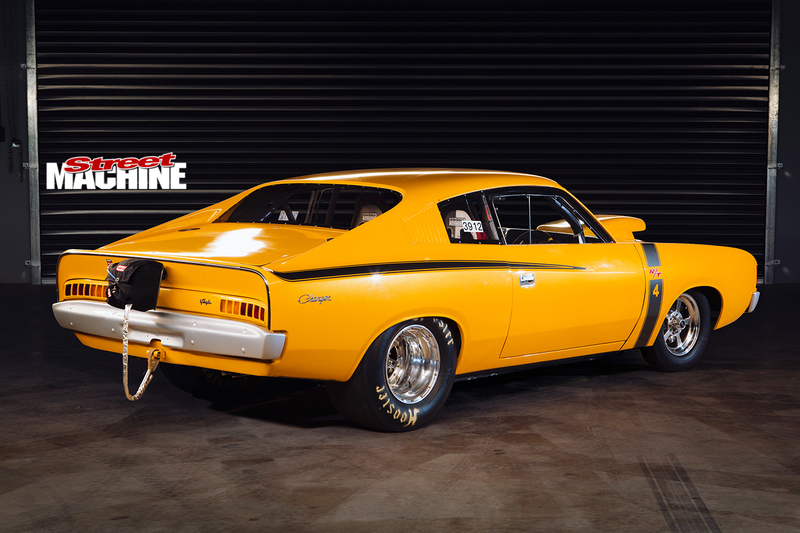 The US-based Ramchargers were a group of Chrysler engineers that campaigned a string of drag cars back in the day – all with the blessing of Mother Mopar – so imagine if Chrysler Australia had the coin and interest to have supported something similar here? 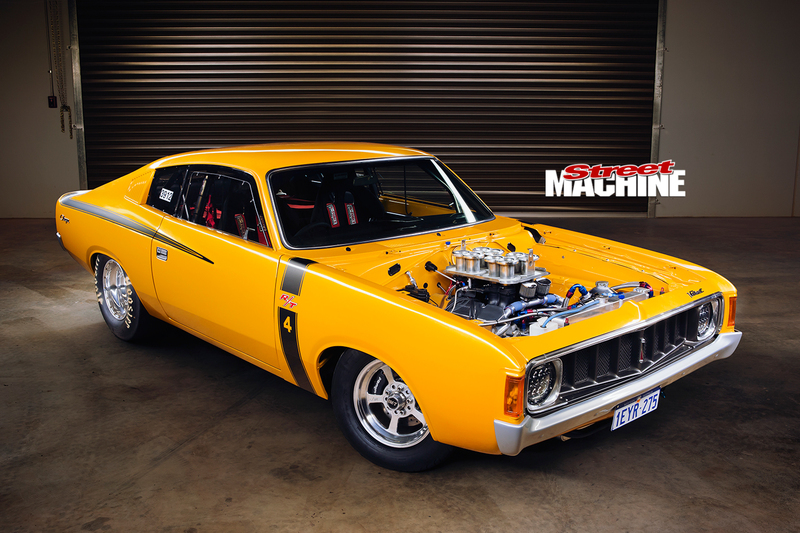 A factory-backed Charger would have been a serious crowd-pleaser at any Aussie track in the 70s, and one look at Peter Selby’s E55 Charger is enough to make you dream of what could have been. 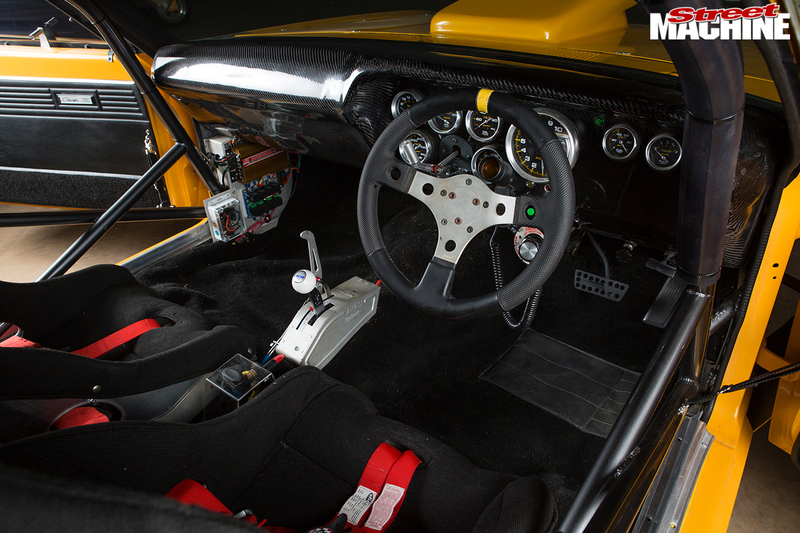 Peter has of course made some concessions to modern technology and safety, but the general visuals of the car and use of small-block power is right in line with 340 concepts penned before the 70s ‘supercar scare’ spoilt all the fun. A few years later – and now firmly hooked on Chryslers – Peter was keen to build a dedicated race car and found this genuine E55 in country WA. “It had been parked for two decades, but was a complete matching-numbers car, needing a full resto. 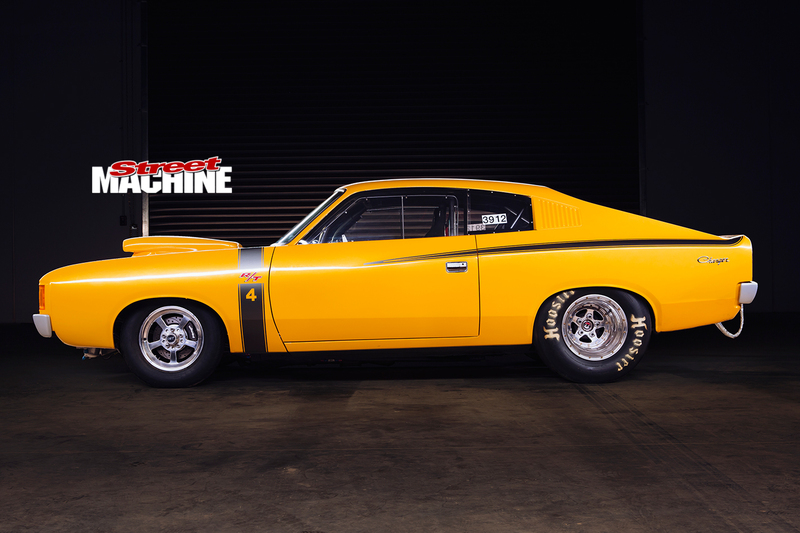 This Charger was my first V8 and I was keen to put the ‘factory’ drag car plan into action: It needed to look ‘street’ but be light and conform to the safety aspect of racing. 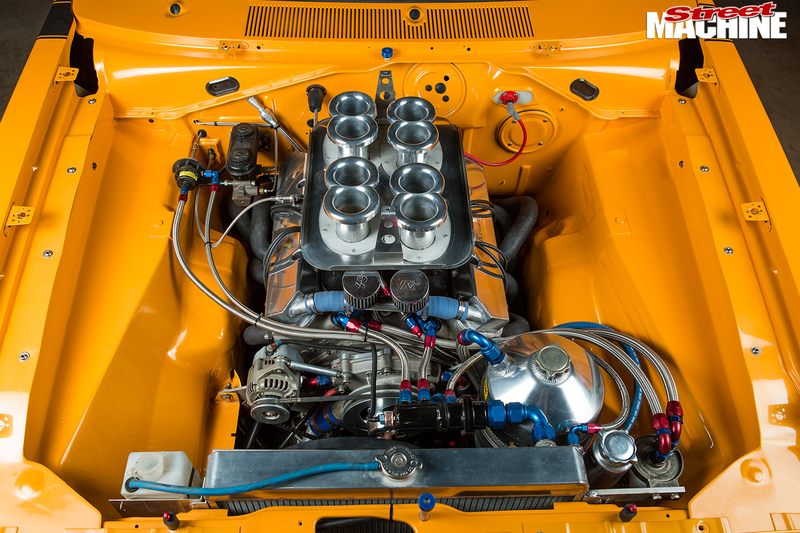 Geoff drew on his knowledge and experience to piece together an 875hp 410-cuber based around a Mopar Performance A8 engine block. This aluminium ‘sprint car’ casting was filled with a 3.80-inch Bryant billet crank and Carrillo rods, while CP pistons round out the short assembly. 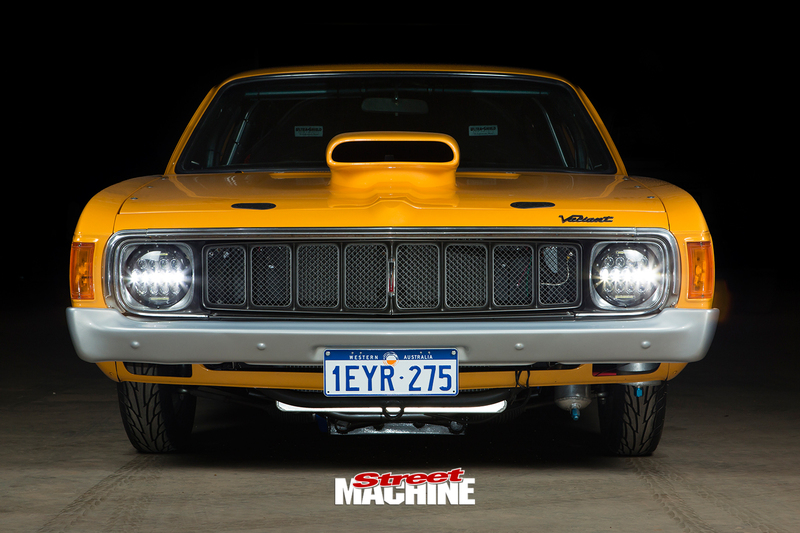 A custom-profile 0.780-inch-lift solid-roller camshaft, Jesel rockers and titanium valves provide the core for the valvetrain, with W9-series Mopar Performance alloy heads CNC-ported to suit. 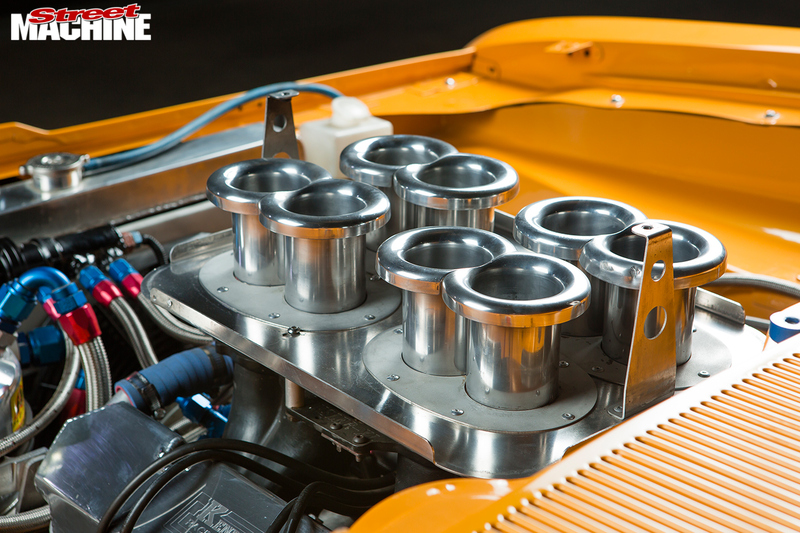 Two-inch primary pipes meld into 3.5-inch collectors and a matching twin system, while a Brown’s aluminium radiator, along with the best things to come from an AU Falcon – their twin thermo fans – add driveability for events like Powercruise. An MSD Digital 7 ignition sorts the spark. All E55s were fitted with a 727 Torqueflite from the factory, but even a beefy trans like the 727 needs work to handle 875hp, so Peter had Peter Veersma piece together a full-manual version fronted with a 5500 converter. A 3.5-inch chrome-moly tailshaft spins rearwards to a sheet-metal nine-inch fitted with an aluminium bolt-through centre, lightweight spool, 4.56 gears and stout 40-spline Moser Extreme axles. 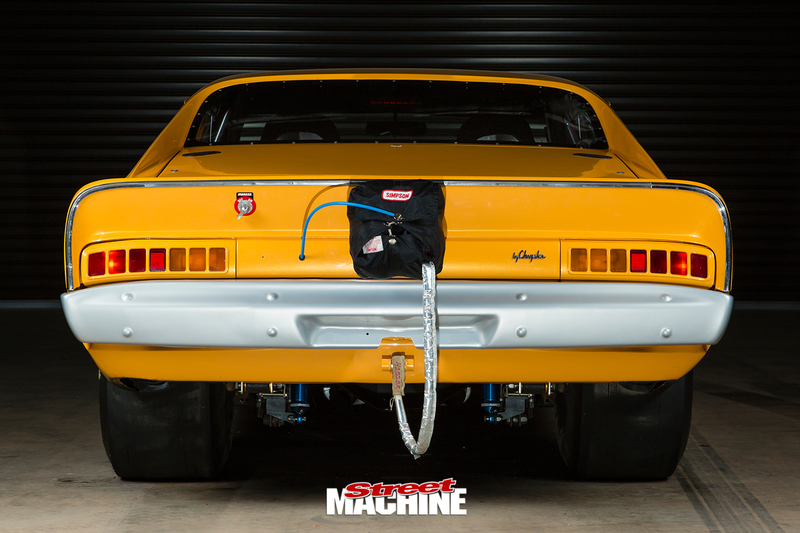 “I purposely over-engineered the car so I could step up the engine spec without having to reconfigure the body or remaining drivetrain,” Peter says. Brakes have been upgraded to Wilwood drilled and slotted ventilated discs front and rear, clamped by four-spot Wilwood Pro Series calipers. 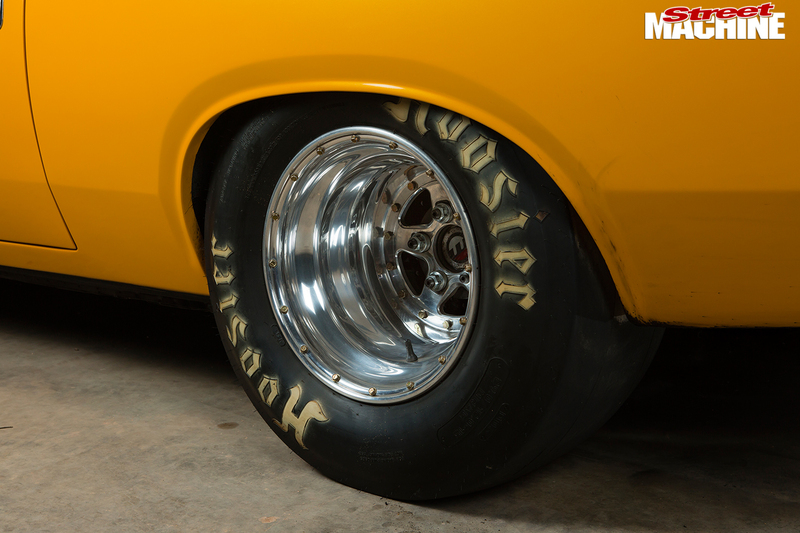 Mickey Thompson 15x4 front rims are shod with same-brand six-inch front-runners, and 15x12 Weld AlumaStars and Hoosier 29x12s take care of the sticky factor within the mini-tubbed rear. The body was already in good nick when Peter first purchased it, and the biggest change has been a diet for the bolt-ons. 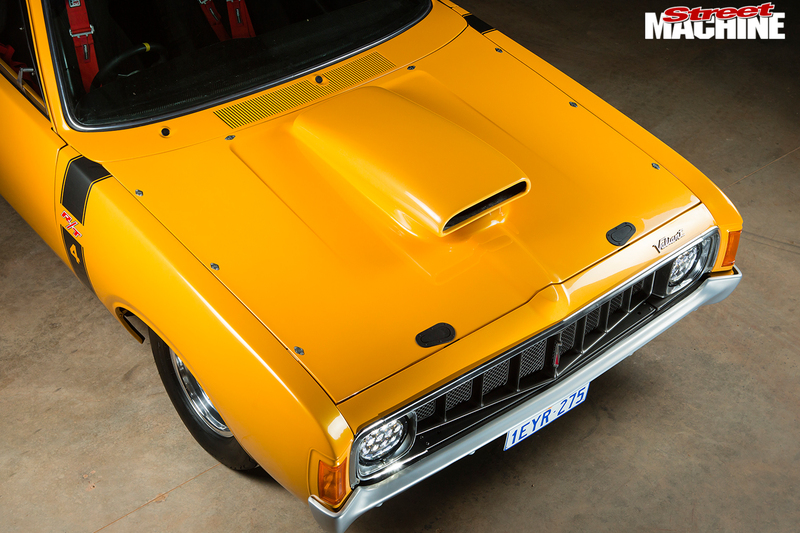 John at WA Race Car Fibreglass reproduced the bonnet, boot lid, front guards, bumpers and even the dash frame in carbonfibre. 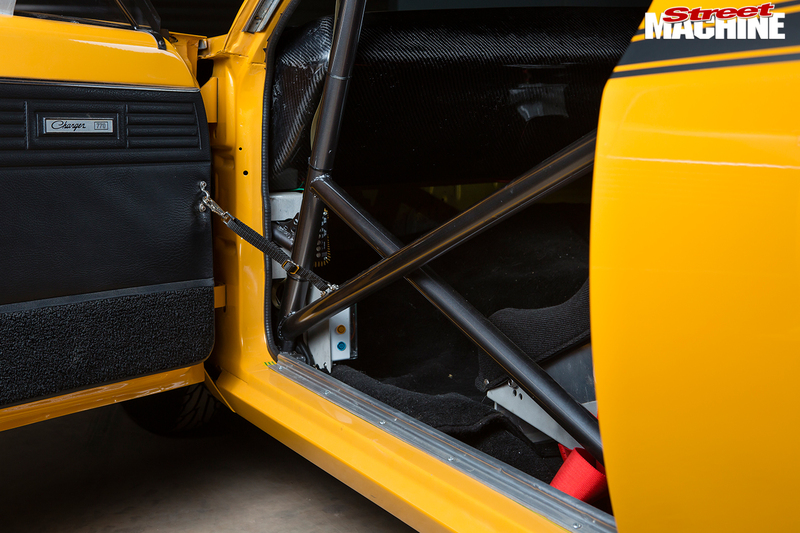 Vulcan Panel & Paint took care of the body prep and Ford Focus Electric Gold paint, which pays homage to this car’s original Sunfire Yellow hue. 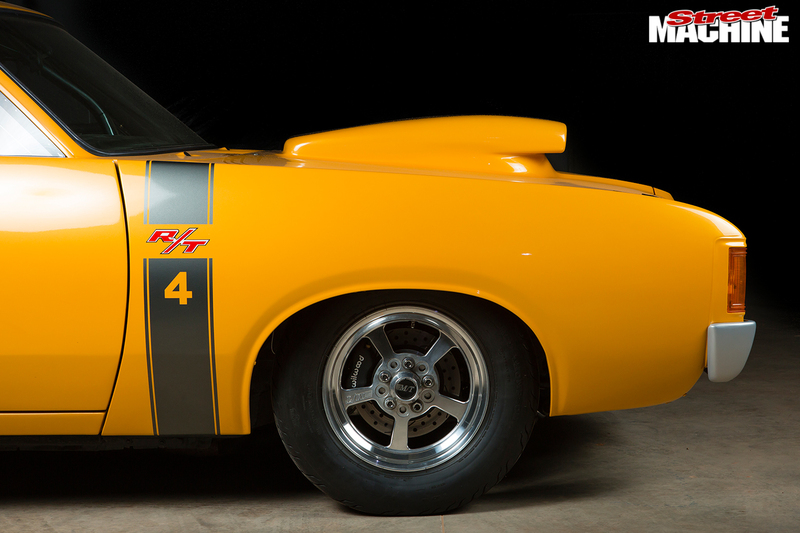 Peter loves the earlier VH R/T stripes, so had a set applied by Jamie Tamms to lock down the ‘factory racer’ visuals. 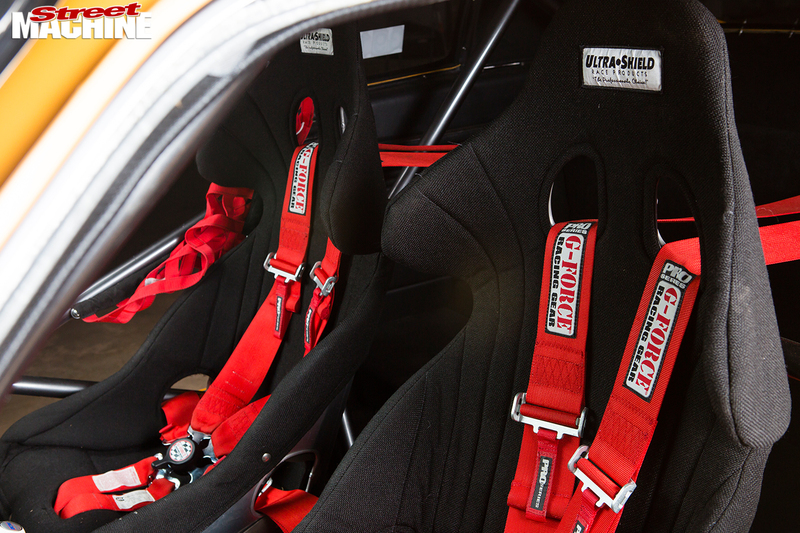 A black interior remains as a nod to the Charger’s muscle car roots but features Kirkey race seats and an eight-point chrome-moly ’cage, designed and built by Peter with the help of Ian Jenkins. 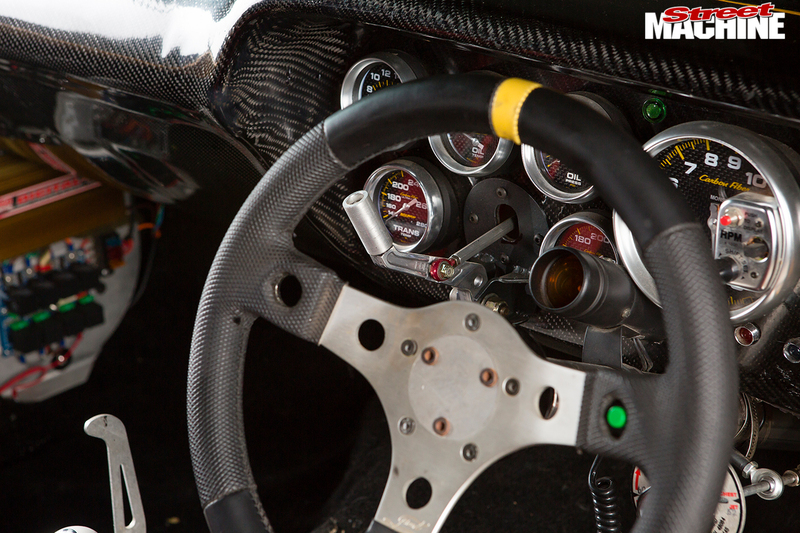 The carbonfibre dash houses a complement of Auto Meter gauges, and gear selection is handled by a B&M Pro Ratchet shifter.